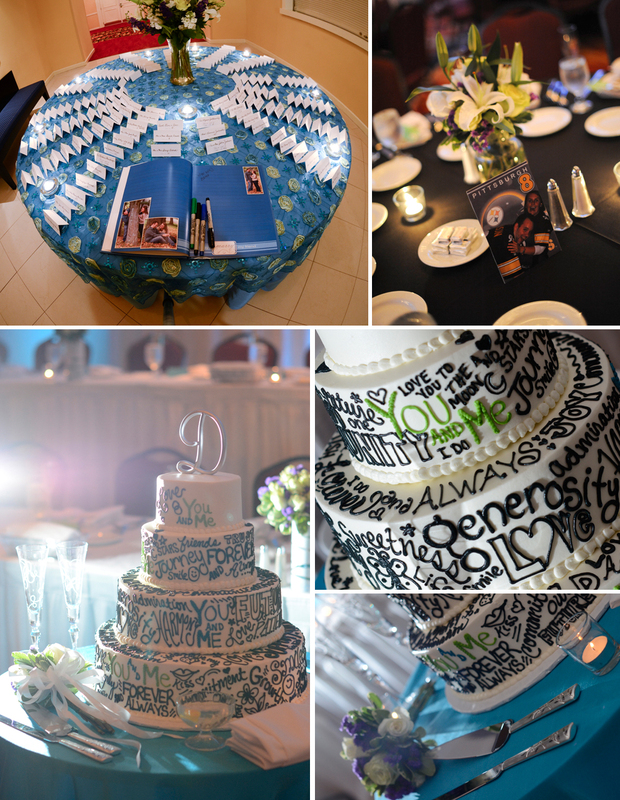 by Emily Smith.In Blog, Weddings. In May (on my anniversary weekend to be exact!) 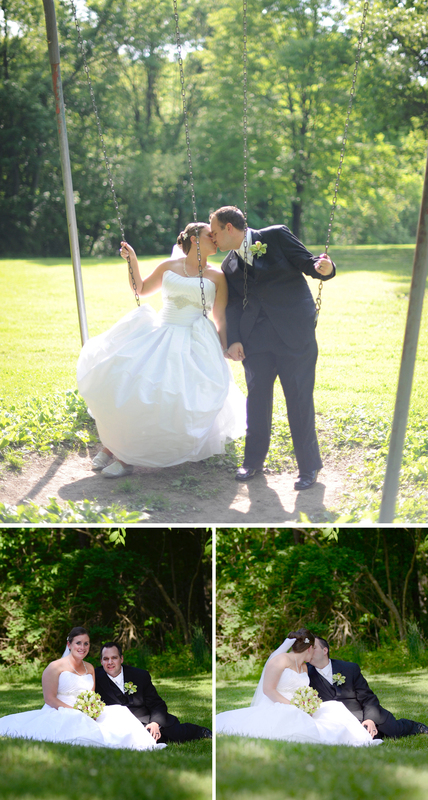 Marti (of martiaikenphotography.com) and I had the pleasure of capturing Kait and Justin’s big day. We had an absolute blast and came away with some stunning portraits. 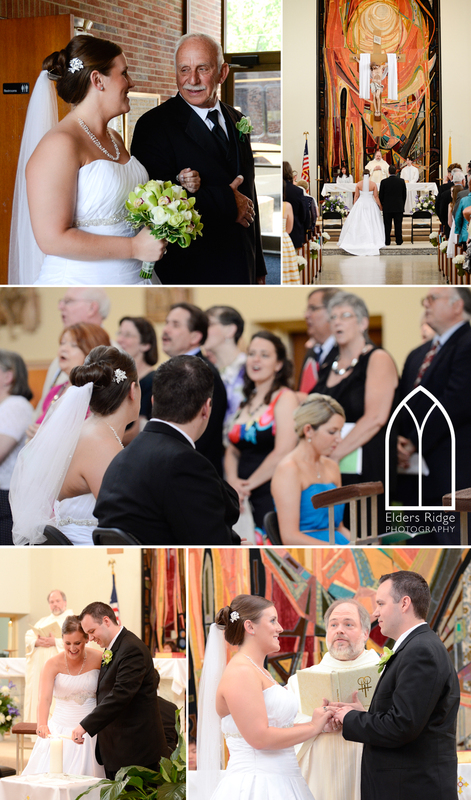 Kait and Justin were married at St. Lawrence O’Toole Catholic Church in Lawrenceville. Something I’ve never seen before: a folk band in a catholic church! It was pretty amazing and just added something special to the entire ceremony. After the ceremony, we traveled to Settler’s Cabin park to take the portraits and then to the reception at the Pittsburgh Airport Marriott. The day was hot, but not too hot. We had great sun (and shade) for the portraits at Settlers Cabin. 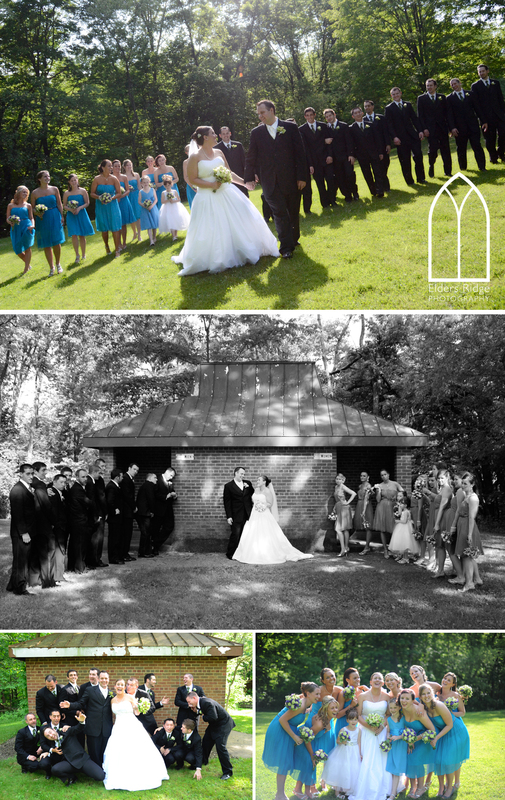 One of my favorite shots of the session was the entire GINOMOUS bridal party lined up outside of a park bathroom. It was a totally random find, but Marti and I thought it was hilarious. We hope everyone else did, too. The bridal party was tons of fun, so I think they were into it. :) On to the reception…awesome entrances, tear-jerking speeches (by the groom’s brother! ), TONS of cookies, beautifully decorated…and the party was still going strong when Marti and I left at the end of the night. If I weren’t pregnant, we probably would have stayed and party-rocked with everyone else! Best wishes to Kait and Justin!